Charlton's future – housing or retail sheds? Developers behind a forthcoming retail park at Charlton beside Bugsby’s Way have applied for even more car parking spaces to be included. The former Matalan site is to see four new shops in the revised plans. Increased car parking spaces are sought for the area by two of the new stores – Next and Primark. The original plans for this site included 252 car parking spaces. A new application, to be decided tonight (26th May), seeks to increase that to 290. The new retail park will have two additional stores besides Next and Primark, as well as Wickes which opened recently. Total car parking spaces will number 460. A huge amount of land will be used for car parking alone, both here and all over Charlton’s many retail parks, during the biggest housing shortage for decades. Not even multi-storey or basement parking will be seen. This kind of dated planning was common in the 1980s when London’s population was declining and people were moving out from inner areas. That’s far from the case now with sharp population rises, and yet this dated thinking persists due to a 2012 masterplan which specifies retail alone in this area, which in Charlton’s case was going to mean yet more wasteful large sheds and car parks. Will this further kill off Woolwich’s retail offerings? Yet another store (The Works) is apparently leaving. And these out-of-town style retail parks seem to be a large factor in declining revenue, which is costing Greenwich council large sums of money. As more people drive to Charlton instead of traditional High Streets, parking revenue is way under forecast. In the year 2014/15 it was £2.1m below expectations. And the increases in traffic clog up the road network increasing costs for business, as deliveries are increasingly less reliable. Fortunately some developers have ignored the incredibly short-sighted 2012 masterplan covering the area, and a nine-storey block of housing is planned. 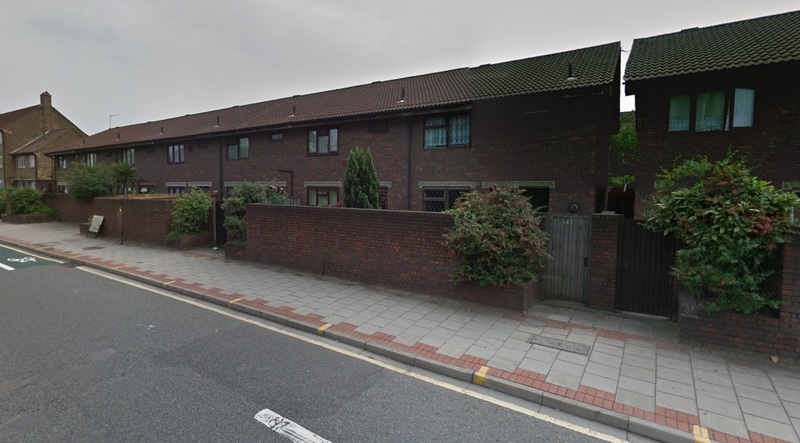 Greenwich planners have recommended approval for this 74 flat block on Woolwich Road. This is a welcome change to the masterplan and will hopefully be the start of a move towards more housing and mixed usage in that area. Sadly, three local groups are all strongly against this design. I can understand resistance to a very poor 18.9% affordable housing element, due to another ‘viability assessment’, but concerns seem mainly centered around its height. They appear to want two storey buildings here. With such a severe housing shortage that just won’t cut it. The proposed building has a decent corner treatment, and pretty good proportions. Retail is present at street level to provide an active frontage, though whether it’ll be taken up with the large supermarkets nearby is another matter. It faces a wide road, so the height is fine on such an expanse. Located just five minutes walk from Charlton station, and it’s station locales where London particularly needs higher density housing. Local groups complain it is taller than the Sainsbury’s nearby, which is already a gross under-utilisation of the site. A revised masterplan is being drawn up which will surely specify mixed-use instead of retail alone across the wider area. It’s just a shame that in the intervening period hulking great sheds have been approved swallowing up chunks of land for sheds and tarmac. Back to the nearby Sainsbury’s, which is a great example. It’s a basic shed with a huge car park. Not even a multi-storey or with parking below the shop, as seen as Abbey Wood’s new Sainsbury’s or, say, ASDA at Bexleyheath. In many other parts of London Sainsbury’s have been rapidly increasing plans for housing above new or existing stores. Charlton moved the other way. This dated planning must be rectified, though available land is now hard to find for mixed use schemes. A long term plan must be sought for a rolling program of retail with housing above to replace the boxes. It’s not hard to imagine the wrecking ball upon these new retail sheds before they’ve even opened. Just checking that Matalan is returning to this site ? Great write up – agree with every word of this. I very much agree that the expanses of car park and low risk retail sheds is a massive missed opportunity to create what could have been a lot of much needed housing on these sites (although i’m not convinced that the Woolwich tesco is a good model). It also has the effect of creating an unwelcoming street scene for anyone visiting in anything but a car. If you have ever had the misfortune of being a pedestrian using the adjacent existing shops you soon discover that the car is king and I fear this may continue in the new Sainsburys/M&S development. With regard to the block of flats, while a 2 storey building is clearly unrealistic I do think 9 is too high. Perhaps 6-7 would be more humane and relate better to the local environment although this would reduce the number of units. Of course if this whole development had been mid-rise mixed use with underground parking, street level shops and a few floors of residential above much more accommodation could have been created and maybe even some parks and quality public space as well.